Our one bedroom, one bathroom suite, which offers the convenience of apartment living with the comfort of home! 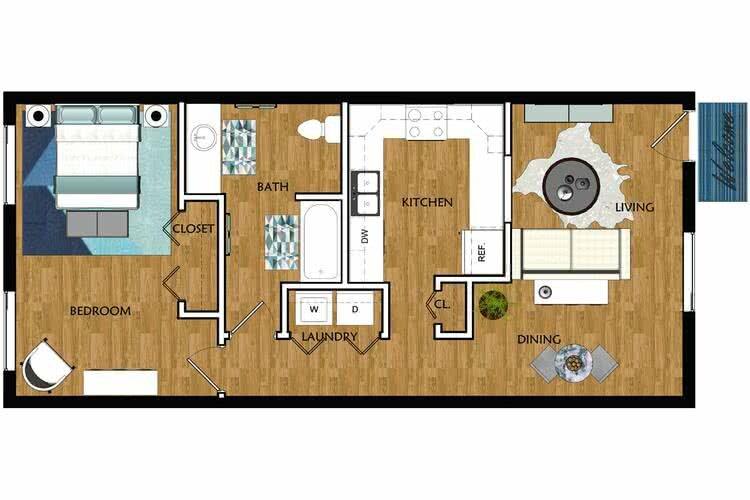 Featuring washer and dryer connections, ample storage space, and plentiful kitchen cabinet space, The Morton is sure to make you feel right at home! 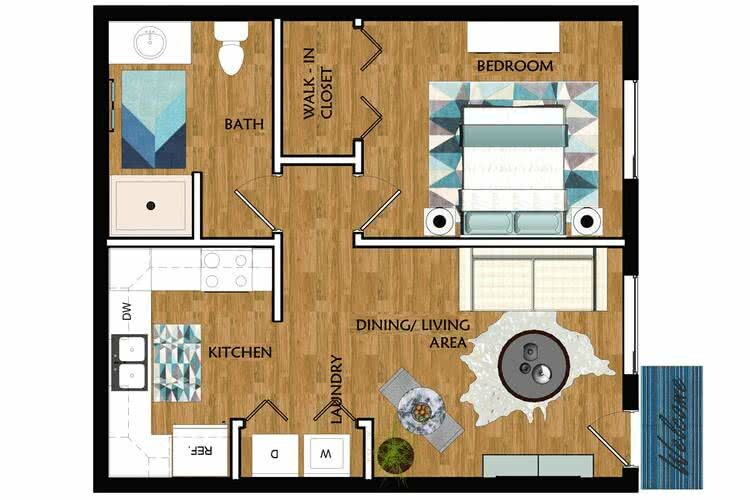 Our most popular one bedroom, one bathroom apartment home! Entertaining has never been easier with a separate dining area, plenty of living space, and a kitchen with fantastic cabinet space. Allow the large master bedroom and bathroom to make this home your oasis!